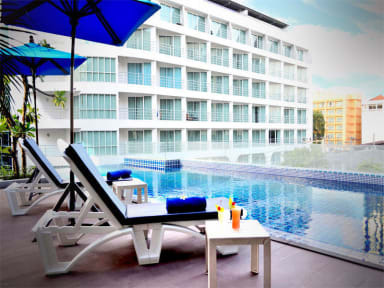 A-One Star Hotel i Pattaya, Thailand: Reservér nu! 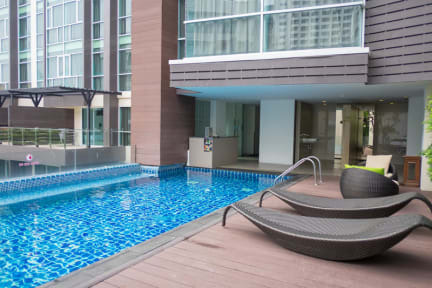 A-One Star Hotel is located in central Pattaya, just steps away from beach road in Soi 3 (about 50 meters from the beach) where the scene shifts nightly along with the entertainment, guaranteed for an adventure and a new experience. All you need is near the hotel: shopping malls, restaurants, attractions, diving, Island visits and nightlife. *Star Room – 148 Rooms (Double/Twin), Size15 - 17 sq.m. *Superior Star – 60 Rooms (Twin), Size18 sq.m. *Super Star – 50 Rooms (Double/Twin), Size20 – 25 sq.m.